You’ve made up your mind that you’re going to do it; you’re finally going to get it right. You’re going to have a successful team building experience. But how do you get started? Why isn’t there a road map on how to host a successful team building event? 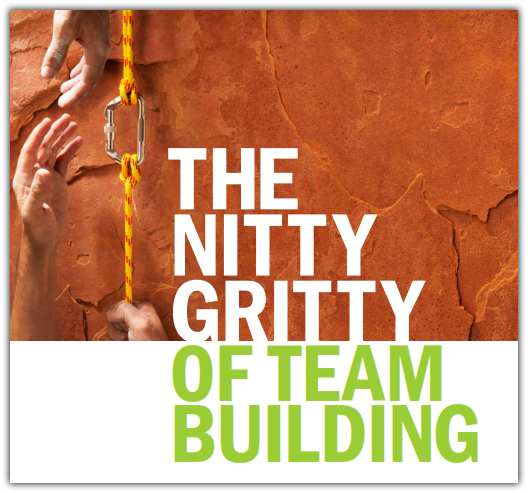 Well, actually, there is; it is called the nitty gritty of team building. This fun and informative guide takes you from concept to completion and gives you all of the tips and advice you need to plan, schedule and pull off a successful team building event for your group or organization. If you see these things happening – good. Those things most likely mean they were having fun, and fun is a very good thing. Fun is, if nothing else, the ultimate measuring stick for a team building experience. Fun creates memories, makes people happier, brings people closer and helps form new relationships. Here is what it comes down to: You will just know. You know your team members. (And if you don’t know them, use the team building as a way to get to know them). When it’s all over, you’ll know if it was a success. Try not to expect immediate and drastic changes in the work environment, but watch as the days, weeks and months go by and enjoy the benefits of all the work that went into the team building experience! Larry Lipman of Fun Team Building has worked with teams for over 20 years and has formulated unique problem solving activities for all types of corporate and not-for-profit organizations to improve communication skills. To learn more or schedule an event, call Larry at 404-234-3512 today!